Bentley has made quite a name for itself over the last few decades and today’s multi-millionaires, billionaires and luxury/sport car enthusiasts just can’t resist the gorgeous lines, impeccable interior and incredible performance this vehicle offers. While the cost is inconsequential for the ultra rich, when you purchase a Bentley Continental Grand Touring vehicle, you are literally getting the best that money can buy. This model offers something for everyone and besides great looks, the technology and sporty performance score incredibly high marks in practically every area. If you are a car enthusiast, you will literally salivate at what is found under the hood. The engine is an incredible behemoth offering 6 liter twin turbo 48 valve W-12 engine. By the way, the “W” wasn’t a misprint, this vehicle really has a W12 engine configuration. All in all this engine powers this 2.5 ton English refined beast from 0 to 60 in about 4.3 seconds. As far as horsepower is concerned, is 552 hp enough for you car enthusiasts? As far as transmissions are concerned, the GT offers a 6 speed automatic with paddle shifting available on the steering wheel. And while this vehicle is incredibly roomy and heavy, the GT is surprisingly very nimble on its feet and performs like a true champion. As far as Bentley’s go, expect the very best. The leather is incredibly supple, the wood trim is found everywhere in the vehicle and the technologies available rival that of the largest electronics stores. 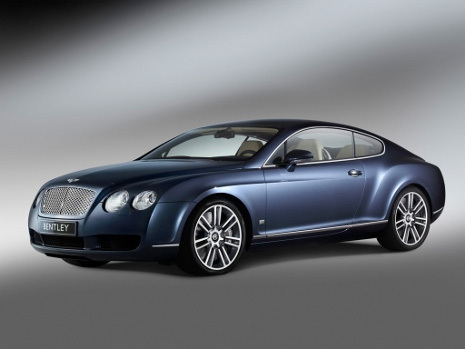 For the ultimate in sport luxury, the Bentley Continental GT is a winner in every sense of the word. This vehicle will cost a pretty penny, but it is well worth it. The GT is currently available. Vou comprar este carro quando for pequeno porque posso trabalhar a minha vida inteira e nunca o irei comprar, mas nao deixa de ser o meu perferido.